So Sunday's weather was rather nice wasn't it?! I decided to celebrate my dusting off my bright blue shoes from LK Bennett (from last year, similars here) and try something new fashion wise: Dungarees. I was given these by the lovely IPR team just before fashion week. Paige Denim are in my humble opinion, the best denim brand around. I've got a few pairs now and they're my absolute fail safes. But dungarees are a new one for me... I had no idea how they'd look. I was so surprised when I put them on, I really didn't think they would suit me. I can't speak for all dungarees, but I can tell you this particular pair are super flattering as they are basically just well fitted jeans with an extra bit! I've now promised myself I'm going to tone up a bit so I can wear a cropped tee with them for summer. One thing I will say is being 5 foot 3, they look a lot, lot better with heels than without. I'd be very envious of anyone with legs long enough to wear them with flats. Your shoes are beautiful, and a sign that spring has finally arrived - yay! 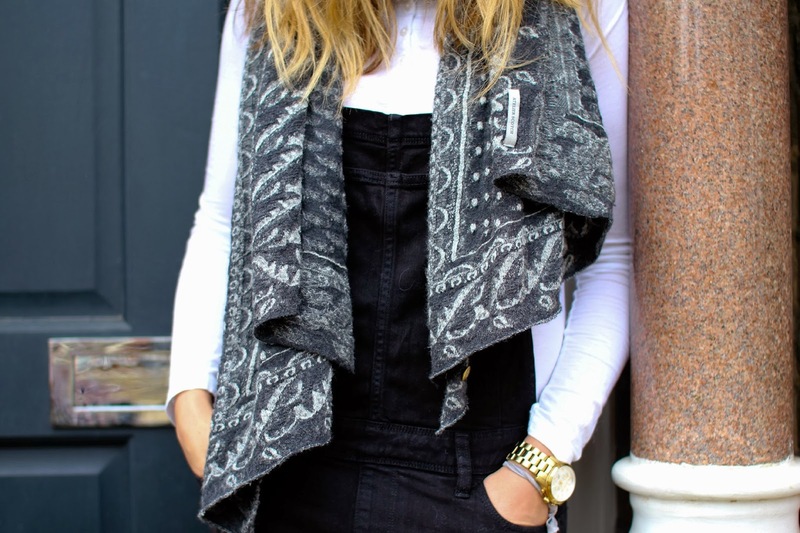 You pull of the dungarees so well too, such a fab outfit! I usually hate dungarees, but those actually look really lovely on you.